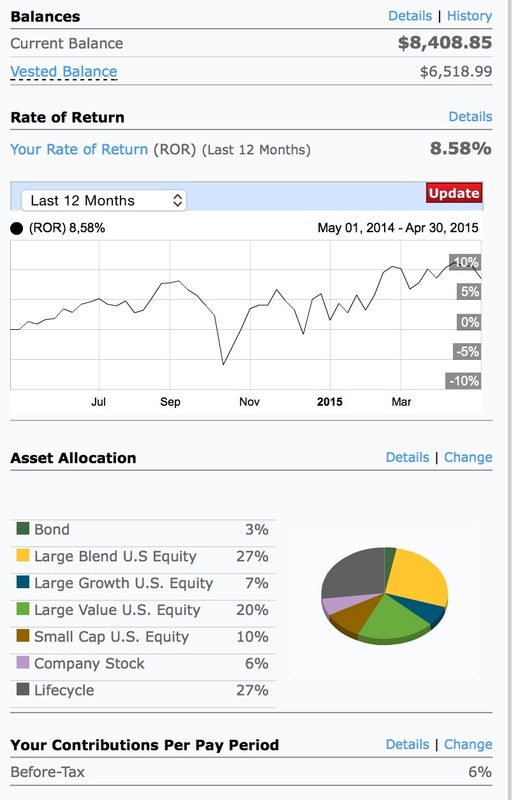 Betterment Roth IRA Update – May 11, 2015. One of my friends makes over $100k annually and has a net worth above $500k. I found out this through one of the dating sites we’re both on. He seems like a work-a-holic and is always traveling. His hair is basically white and he seems to have a very high amount of stress from his job. Also about 10 years older than I am. My salary is close to half of what his is. So I started thinking. Is it possible I could have a net worth of $250k in a decade? The short answer is yes, but I may need to cut back my spending, start earning more and get gazelle intense with savings. Just be careful to not compare yourself to him too much. I mean, does he even seem happy? I believe you’re younger than me, so he’s probably my age and believe me to have all white hair at my age is NOT a good thing. You may not have as much as him but if you’re happy, then that’s all that matters. As long as you stay on your path, and don’t decide to overspend once you get out of debt, I definitely think it’s doable. You’re both absolutely correct with staying on my path. Comparing myself to others is just a recipe for frustration. I’ve been trying to keep myself busy enough to the point where comparing doesn’t enter the picture is often as it used to.